Most woodworking blogs address sharpening at one point or another, so I may as well join the fold and get it over with! I use a Veritas honing guide with Shapton 1k, 5k and 8k waterstones and a DMT coarse/extra course diamond plate for rough honing and waterstone flattening. As you can see in the picture, I utilize the “ruler trick”, and the oak block is used to hold scrapers at 90 degrees. 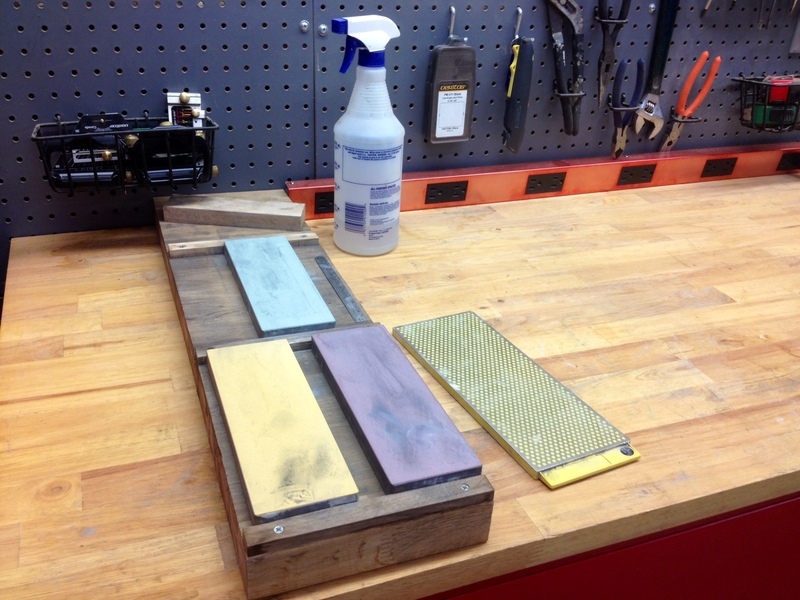 I keep my stones on a butcher block cutoff which prevents them from shifting during the sharpening process. 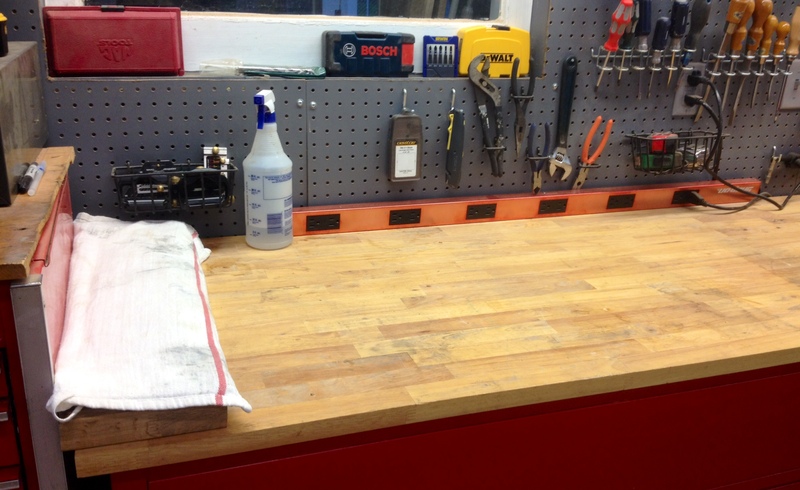 The stones are kept out of the way at the end of a bench top; they are ready to go when I am. The accessories are kept at hand in a peg board basket. When not in use I simply cover the stones with an old dish towel. I took the advice of many – picked a system, learned it, and stuck with it. If there is a better process I may never know, because this one is easy and it works!